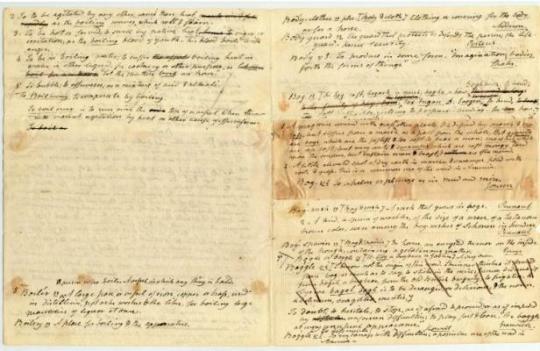 Above is a handwritten draft of Connecticut native Noah Webster’s “American Dictionary of the English Language,” which was first published 187 years ago today on April 14, 1828. Webster was a teacher, lawyer and abolitionist. He died in 1843, but he can still be seen, felt and learned from at locations throughout Connecticut. 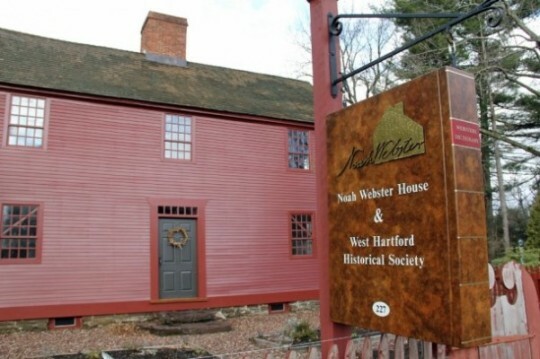 In West Hartford, his birthplace and childhood home is now a museum: the Noah Webster House & West Hartford Historical Society. 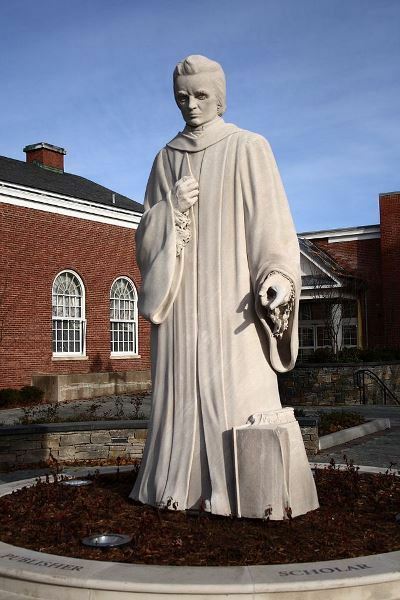 Also in West Hartford, a statue of Webster stands outside the city’s public library. 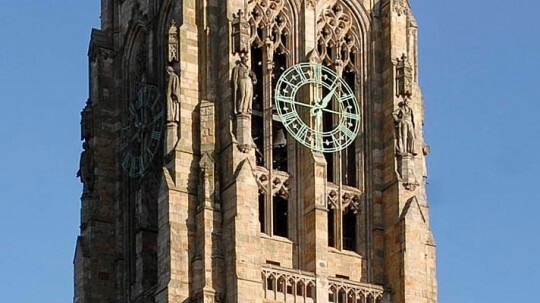 At Webster’s alma mater, Yale University in New Haven, an 8-foot likeness of Webster is one of eight statues that stand at either side of the clockfaces on Harkness Tower on High Street. 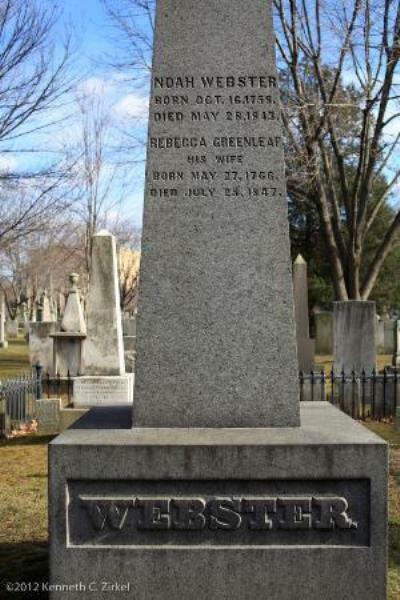 Webster is also buried in New Haven along with many other notable Connecticut residents at (the always-worth-a-visit) Grove Street Cemetery.